Be prepared for your camping trip with these safety tips. The kids are off from school and the weather is nice and warm. It’s the perfect time to go camping! Despite its beauty, nature can be treacherous. Take the necessary precautions and check out these camping safety tips to keep your trip mishap-free. Plan ahead. Map out your camping plans at least a few days in advance. Determine where you’ll be and how long you plan on staying. Once you’ve finalized your plans, give your itinerary to a trusted friend or relative. That way someone will always know where you are in case you get into trouble. Never travel alone. There’s safety in numbers, so always travel with a buddy. That way if anything goes wrong, you can help each other out. Bring all the necessary equipment. There are a few essentials that you should always bring along with you if you’re venturing out into the wilderness. Pack a bag with a flashlight, water, non-perishable food, blanket, compass, whistle, first aid kit, and anything else that you think you may need while out and about in the wild. Keep that bag with you at all times. Practice sun safety. Spending time outdoors makes sun safety of the utmost importance. Don’t forget to bring a hat and enough sunscreen. Lather up in plenty of SPF 30 and wear sunglasses. Keep your distance from wildlife. Remember that you’re venturing into the wild. If you encounter any animals, use extreme caution. Do not aggravate them or try to pet them. When scared, they can be extremely dangerous. Admire wildlife from afar. 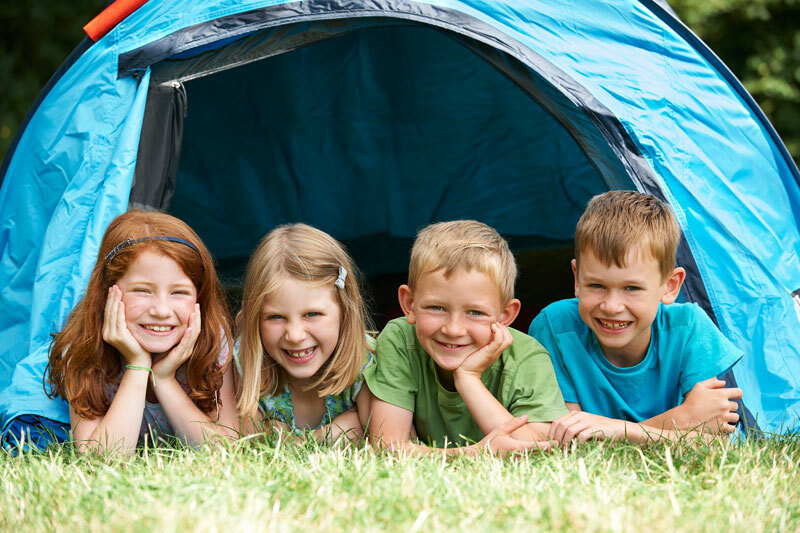 Stay safe while camping this summer with these tips. Stay safe all year long with the right insurance. For your insurance needs, contact the professionals at The Schwab Agency. Located in Colleyville, Texas, we serve all your insurance needs.